Do you really want to help fight cancer? As consumers, we are inundated with messages on a daily basis to help raise money in the name of a cure for cancer. Some 260 nonprofit organizations in the United States alone have dedicated themselves to this cause. Together, they have budgets that exceed $2.2 billion. But the sad reality is that only a fraction of that money ends up going to where it is most needed – to research scientists who have devoted their lives to working on a cure. One of the largest fundraisers for cancer in the US, according to their latest annual report, spent $75 million on administrative and fundraising costs but only $58m went towards research projects, and only a fraction of that went to actual research for a “cure” – a term they have ironically trademarked. Similarly, another national cancer charity spent a whopping $277 million on salaries and “general fundraising expenses” in 2012. And according to the American Institute of Philanthropy, the CEO of another prominent nonprofit cancer institute was compensated more than $1.4 million in 2013. That’s more than three times what the President is paid to lead the United States! Organizations like these may have done a great deal to raise awareness about cancer and support cancer sufferers, but only a fraction of the dollars raised in the name of a cure actually find their way to a lab solely focused on that goal. This is why the Lampidis Cancer Foundation is fundamentally different. As a true nonprofit foundation relying on the goodwill of volunteers to keep Dr. Lampidis’ groundbreaking research moving forward, one hundred percent of funds raised goes towards Dr Lampidis’ research, helping to fund essential laboratory supplies and technical support. Combine this with the fact that unlike other treatments that are limited to certain cancers, Dr Lampidis offers a universal approach to treating all types of cancer – putting us on the brink of something that could benefit mankind immeasurably. The current state of medical research has scientists fighting over an ever-decreasing slice of the funding pie. Many brilliant but disillusioned scientists end up throwing in the towel, not because they are lacking in ideas, but because they are constantly having to devote their energy to writing grants to keep their labs running. But history has taught us that it is in a lab like this where the cure for cancer will be born. 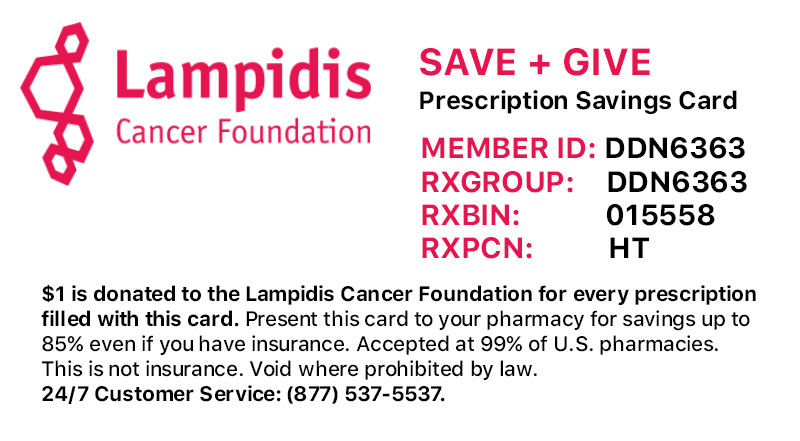 So next time you’re walking or running or swimming or jumping and donating your hard earned dollars to a cure for cancer, think about donating it to keep Dr. Lampidis’ groundbreaking work on 2-DG going. Rest assured your entire donation will be put to very good use. To make a donation, visit http://www.gofundme.com/2-DGtrialforcancer. Alternatively, you can join us at The District Miami on February 5th for our annual fundraising event. Contact alexandra@lampidisfoundation.org for details.